Llynclys Common nature reserve is one of the richest botanical sites in Shropshire. The reserve, managed by Shropshire Wildlife Trust consists of a series of former limestone quarries and a large common. The range of habitats, both limestone and mesotrophic grassland, cliff faces and scrub display a terrific array of species, but it is the woodland at this time of year which brings the naturalists. Herb Paris and both Early-purple and Greater Butterfly-orchids are just three of the numerous species to be found in May time. The day will be spent exploring this large reserve with its network of paths and small quarries, identifying a wide range of wild flowers, mosses and ferns. Fiona Gomersall is a trained biology teacher and skilled field botanist. She is Conservation Officer at Shropshire Wildlife Trust and is an active member of the Shropshire Botanical Society. Fiona’s monitoring and botanical survey work takes her all over the county to the 40 nature reserves and several hundred local wildlife sites. 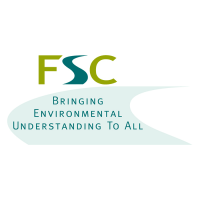 To book a place on this course, please visit the FSC website or contact the centre directly on 01743 852040.